Here in Rome also occurred that touching incident in which the Creator of a universe spent several hours restoring a lost child to his anxious mother. This little boy had wandered away from his home, and Jesus found him crying in distress. He and Ganid were on their way to the libraries, but they devoted themselves to getting the child back home. 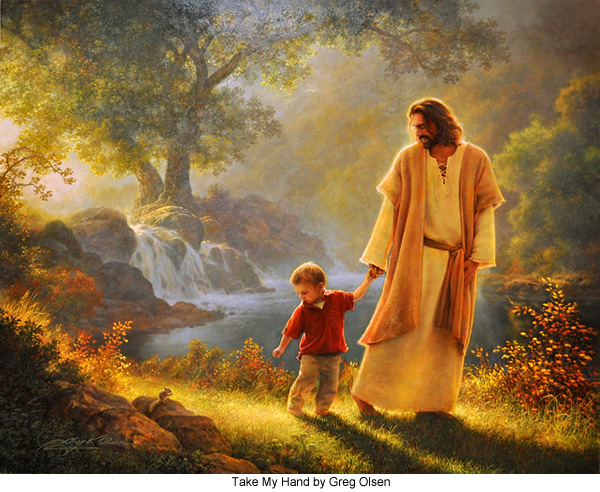 Ganid never forgot Jesus' comment: "You know, Ganid, most human beings are like the lost child. They spend much of their time crying in fear and suffering in sorrow when, in very truth, they are but a short distance from safety and security, even as this child was only a little way from home. And all those who know the way of truth and enjoy the assurance of knowing God should esteem it a privilege, not a duty, to offer guidance to their fellows in their efforts to find the satisfactions of living. Did we not supremely enjoy this ministry of restoring the child to his mother? So do those who lead men to God experience the supreme satisfaction of human service." And from that day forward, for the remainder of his natural life, Ganid was continually on the lookout for lost children whom he might restore to their homes.